You must be a member of the Bern Unlimited Group to attend this activity. Would you like to join this group? The Murten Lichtfestival is not to be missed. It takes place from 16th Protected content January Protected content . 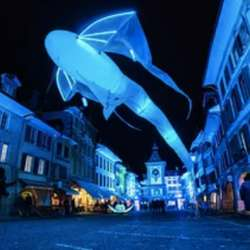 The whole town lights up with different light installations and spectacles. I went last year and it was mesmerizing. We will walk around town and admire the shows and installations. There is the possibility to book a ticket for the 'Kirchenspektakel' if you are interested. It is a special show that lasts 20 minutes.